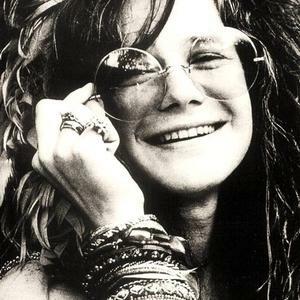 Janis Joplin (born 19 January 1943 in Port Arthur, Texas, United States, died 4 October 1970 in Los Angeles, California) was an American singer, songwriter, composer and painter. Originally the lead singer for the blues rock band Big Brother & The Holding Company, Joplin left the band in late 1968 for a solo career. She released two solo albums, I Got Dem Ol' Kozmic Blues Again Mama! (1969) and Pearl (1971), the latter released after her death. During her solo career, she was backed by the Kozmic Blues Band and later, the Full Tilt Boogie Band. Her version of the Kris Kristofferson song "Me And Bobby McGee" reached #1 in the United States on March 20, 1971.